The weather is definitely getting more cold here! I don't like cold feet at all. My family knows that they should expect me to buy a new pair of slippers every 6 months, to replace the pair I just wore through. So when it gets colder outside, I trade my flats in for my boots. That way I can wear socks, and stay warm! But wearing a boot sometimes without a boot sock is like not wearing underwear. OK, not really, but now you can see how important it is for me to feel warm. I live in Idaho, I should be used to cold temperatures, but I'm not. So I wanted to really quick make me some new boot socks, I decided to check my fabrics here at my home before going to the store to buy some fabric or some socks. And I DID!! As I was looking through my boxes of scrap fabric, I thought I should share this with you too. I know I am not the only seamstress that has too many boxes of scraps! It took me less than an hour to make 3 pairs of socks. And I didn't spend a dime, because it was all supplies I already had on hand. Who doesn't like free!!?? Ok, here is the quick tutorial. I kept it simple, I know there can be more ways to make these socks, and probably better ways. But since I was jumping into this project so quickly, I didn't think things through. So what I am sharing with you is what I did, and what worked for me. I know there are a few better ways to do these, but when a sock is free, it is worth just playing around with, right!? If I am missing something in these instructions or you have a question, leave me a message or email me. I hope to add a few new designs I am thinking about as I find the time to make them. So as soon as I do, I will add them here. So make sure to pin this to your Pinterest Board so you can come back for reference. Step 1. Measurements. Measure from your ankle to your knee. Mine was 14". Measure around the widest part of your calf. Mine was 14" again. Measure around your ankle. Mine was 9". Step 2. Cutting. I have a diagram right here that will help you. One of my fabrics stretched more than the other 2 so, I ended up trimming it more. So if you find that your socks are too lose, then just cut some more off. Easy fix! Using the measurements that I took above this is how I cut my fabric out. I cut it on the fold, so that both sides would be identical. As you can see in the picture that it says cut here when adding lace or trim to sock, make sure you do this if you are adding any kind of extension to the top that you want to show over the top of your boot. Also in the picture it says to add 6" for the scrunched look. If you look in my photos above of the finished socks, you can see that the colorful pair is scrunched at the top. The measurement between the ankle and knee is cut at an angle where your ankle will be smaller than your calf, that is why there is an angled cut. In the second picture below I trimmed off that abrupt edge where the angle meets at the calf line. I wanted a softer line there. Step 3. Sew the side seam for the gathered sock. If you are adding lace or trim skip down to step 5. Step 4. Optional foot strap. 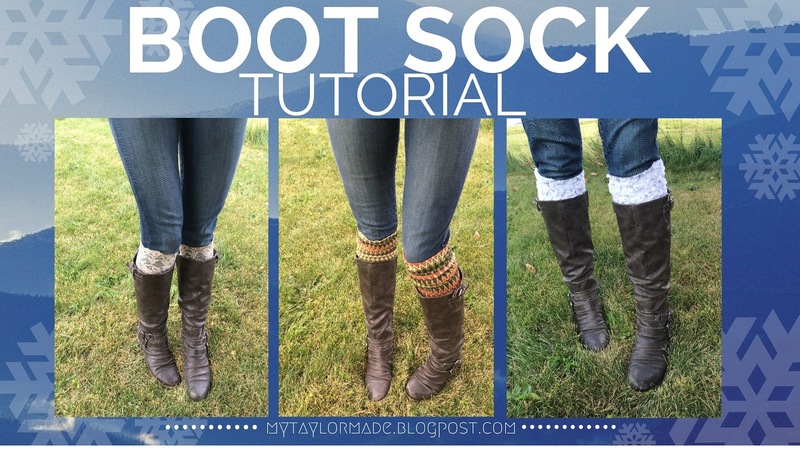 If you are like me and hate when your socks try to creep up your calf as you put your boot on, then you will want to add this step. It is also great to have if your boot socks are kinda lose on your leg, so it is held in place. Measure from ankle bone to ankle bone, around the bottom of the foot. Cut and sew a strap piece. 2 " wide by the measurement you just took. Step 5. Adding Lace or trim. Stitch with an overlock or zig zag stitch the lace to the top of the sock. If your trim is not as stretchy as your knit, than you will want to cut it longer and than ease both pieces into each other as you are sewing. If you are not adding lace to your sock, than skip this step. ALL DONE!! So Easy and quick!! If you are like me, now you don't have to feel bad that you can't knit a pair of boot socks. All you have to do is sew them! And in half the time! LACE TRIM BOOT SOCKS Without the foot strap. TRIM TOPPED BOOT SOCK, with out the foot strap. And don't forget to pin and share this tutorial with someone you think would love to follow it. In 2012, our daughter started Kindergarten, we really struggled getting her to focus on her school work. It was always a fight when we had to sit down and memorize sight words. She bounced around and wanted to be moving every time. We wondered if she might have ADHD or ADD. Mike and I have never been fond of medicating our children. So the next best thing was to start looking into natural ways to help her focus. We realized so much of it could be what we were feeding her. So we started working better food choices into the family meal plan and eliminating processed foods. Within weeks, we noticed a big difference in her attention and hyperactivity level. I hope today, to be able to help you. So, let’s help our kids make better choices with their foods together. 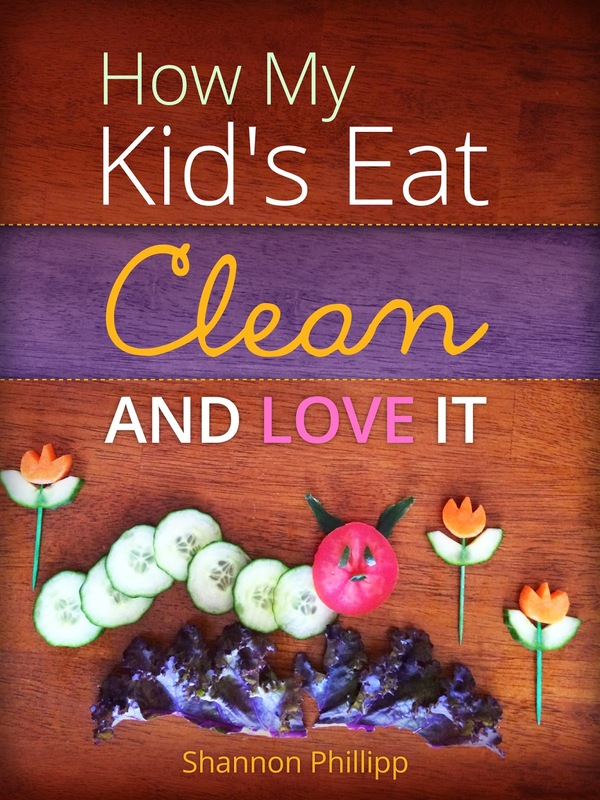 In this FREE instant file, I will show you how to slowly work clean eating into your family’s life. I wanted to quickly stop in and tell all of you that supported my small fundraiser for "Kisses for Kycie" thank you!! I am so humbled to see the love and support that a stranger will give to a family that the don't know. I was able to raise $140.00 from my sewing patterns during the 2 week sale, and I was amazed at those who refused to use the coupon code and paid full price. These are all notes sent to me on Kycie's behalf, and I wanted to share them with you. - We are heart bombing your shop in support of the little Kycie. God bless you! - gift to the family in honor of my mother. She was a RN with a bachelor's Degree in nursing. Post from Josh - Some days are harder than others. Kycie has a full day starting at 6:30 in the morning until her bath at night. Little sister seems to have had a stomachache all day. This makes her uncomfortable and makes therapy more difficult to tolerate. They push Kycie during therapy and this is good. At times very hard and exhausting pushing that little 5 year old body to its limit. But we know it is good for her and are thankful for compassionately aggressive therapists. Dad is a wimp when it comes to seeing his little girl cry in pain. Mom is granite, Dad is sand. Kycie is doing great. Her Cheer Coach came to visit tonight. When she left Kycie waved (lifted her arm a little) goodbye. My first time seeing her do that. 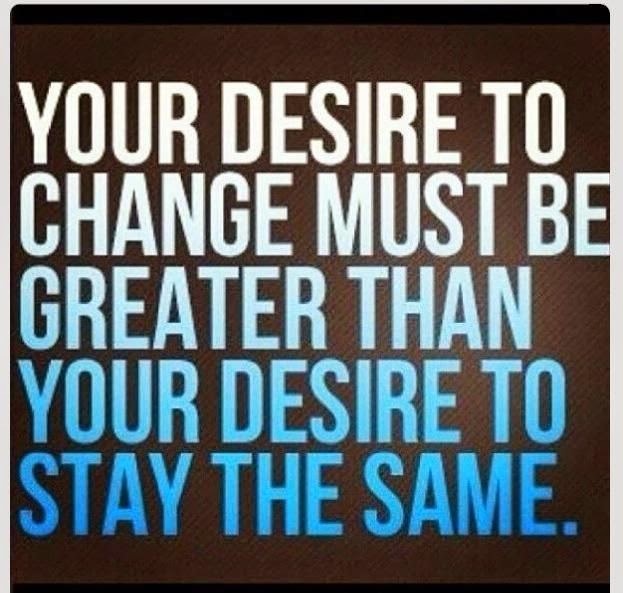 Dealing with new onset T1D can and is difficult. Adding a severe brain injury to the equation is...well...I haven't found the right words yet. This little girl teaches me something every therapy session, every finger prick, every time she looks into my eyes. She is a miracle and does miraculous things each day. The road is long and daunting. But with Him all things are possible. This is possible. I know I'm not supposed to look too far into the future, but I really want to see her off on her first day of Kindergarten. But first, we need to wiggle those toes. Pancakes are a favorite in our house. And so quick to do for a last minute dinner when life got too busy for the day. Since we have tried to eat clean foods, the regular pancake mix that we loved had to be replace. We have tried a bunch of recipes, and I have finally found my absolute favorite!! So why not go all out and pull the cookies cutters out for Valentines day too!! Just remember when you do it, to use metal cutters, not plastic like I did. OOPS!! I had the heat up too high, and two of my cutters melted a little. I will be smarter next time. You can see the pink in the pancakes really well when it is still batter. Once I cooked them, and they browned a little they didn't look as pink. But in that case, why not put some greek yogurt on the top and some fresh sliced strawberries. Wouldn't this be so perfect for breakfast in bed!! Put all ingredients in the blender until well blended. Then pour into pan and flip to cook both sides. If you are a 21 Day Fixer and want to know the breakdown of containers, here you go! I am not going to lie either, I am really not a fan of plain greek yogurt. While I do the 21 day fix, I will eat it. But on a day to day I would much rather have the honey flavor. So that is what you see in my picture. 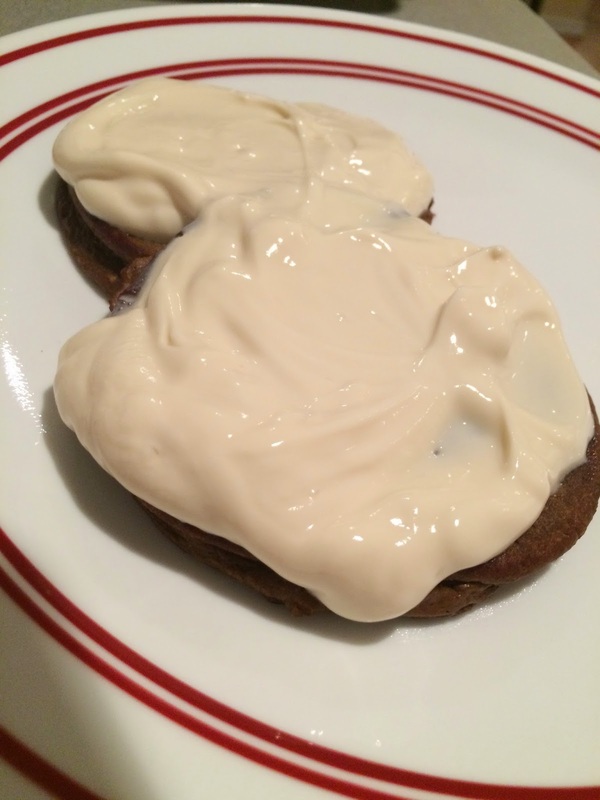 If I eat this with plain, I will sprinkle cinnamon on the top since in the 21 Day Fix program, it is a FREE food. Here is another idea too!! 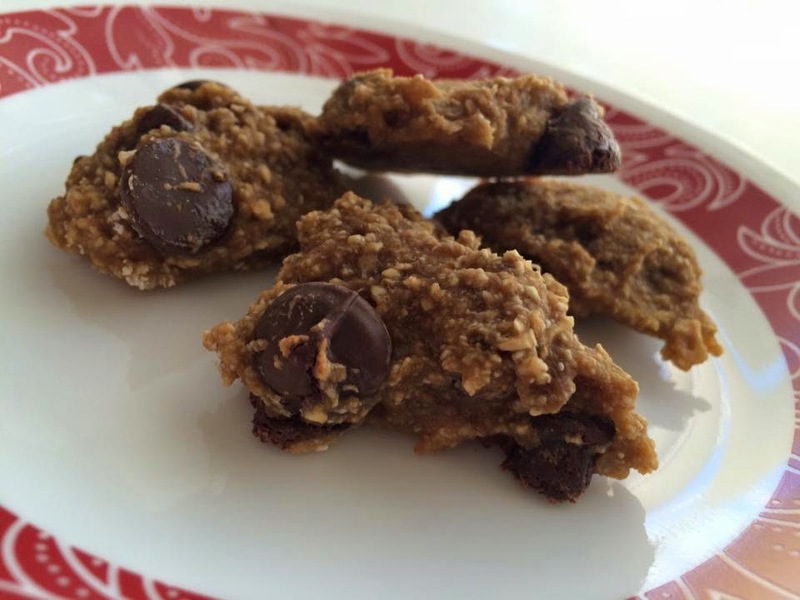 We made these with Vegan Chocolate Shakeology as well. LOVED IT! We totally scored with this recipe with both flavors. I would love to try it with all the flavors, I think they would all be fabulous! And maybe add a little peanut butter in the Chocolate ones!? What do you think, should I try it with the peanut butter? And what do you do when you don't have Shakeology or don't even know what it is? Send me an email! I have never been good with my words, and have always tried to keep things short and sweet when I leave my posts. But today I want to make sure you know how special this little girl is. On January 25th, sweet Kycie started complaining of a headache. On Monday she said her tummy hurt and a little later she threw up. Her mom and dad figured she was coming down with the flu. She slept all day Monday. She was giving her sprite and water to help her tummy. She did not want any food. Tuesday there was no change, and her brothers started to complain of stomach aches and sore throats. Jamie took Daxton and Kycie to the doctor on Wednesday. They were given antibiotics for strep throat. By Thursday night, she was worse. On friday they went to the doctor and went to the ER at 1:00pm. By 5:00pm she was life flighted to Primary Children's Hospital with blood sugar of 1148. Her parents had no idea that sweet little Kycie had diabetes! Enroute to the hospital she had a seizure and another one right when they got to the hospital. She has been unresponsive ever since. At this point her blood sugars are under control. After reviewing her MRI the doctors said that she has extensive damage to the brain. The brain had herniated into the brain stem.They said if she survives to prepare themselves for her to be severely handicapped. They will do another MRI on Tuesday and at that point with decide if they should consider taking her off the breathing machines. You know those kind of people that you meet, and you just have an instant attraction to them. Yup, that is Josh and Jamie. Both Mike and I really enjoyed doing things with them, and our kids got along so well. I used to tease Mike that if he could have an affair with Jamie's cooking he would. He would always tell me how great her pumpkin chocolate chip cookies were, or her texas sheet cake. Randomly when I would be having one of those days, Jamie was there for me with a plate of cookies. Yup, I only got a couple, cuz Mike would eat them. It was just knowing that someone was thinking of me that made me feel wonderful. When I needed a shoulder to cry on or laugh on Jamie was there. When we found out that we needed to move away, Jamie and I cried together for a bit, and then she jumped in and helped me with everything I needed. Josh and Jamie are those friends that are kept for eternity. They would give a shirt of their back for anyone in a heart beat. It has just broken my heart to see them have to go through this trial in their lives. They have been strong, and have embraced every moment of this. They are true examples to all of us, of who we should become. 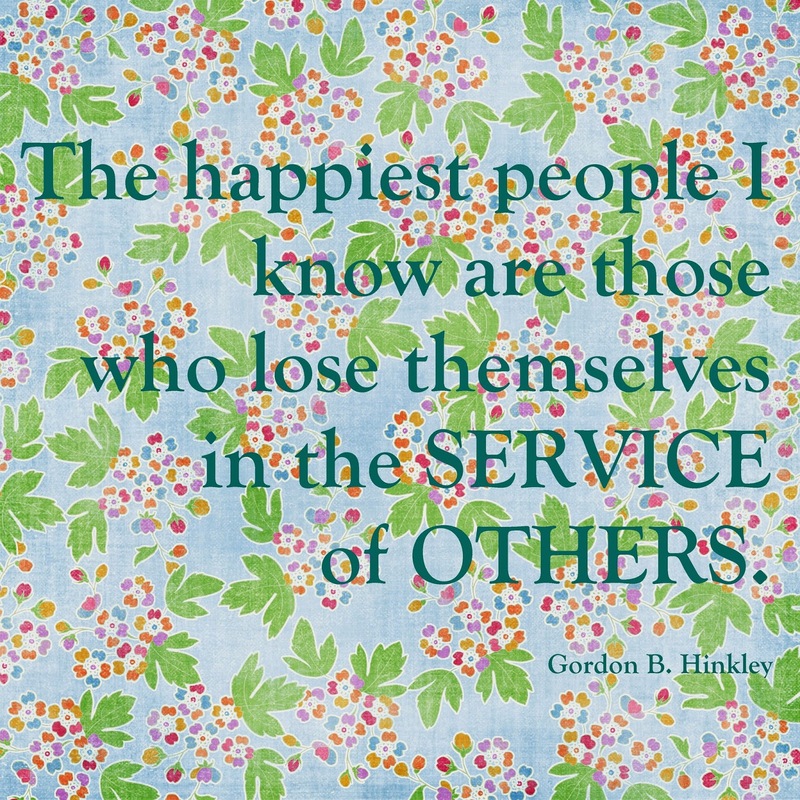 I want to help in every way I can. And I know they don't want any cookies that I make, because they won't turn out as good as Jamie's. So I want to donate all the proceeds from my PDF Pattern sales to Kisses for Kycie. So for each pattern sale, after I pay my fees, I will donate all proceeds. I will keep this fundraiser going from today until Saturday, February 21st. If you use coupon code KISSESFORKYCIE at checkout, each pattern will be at 20% off. 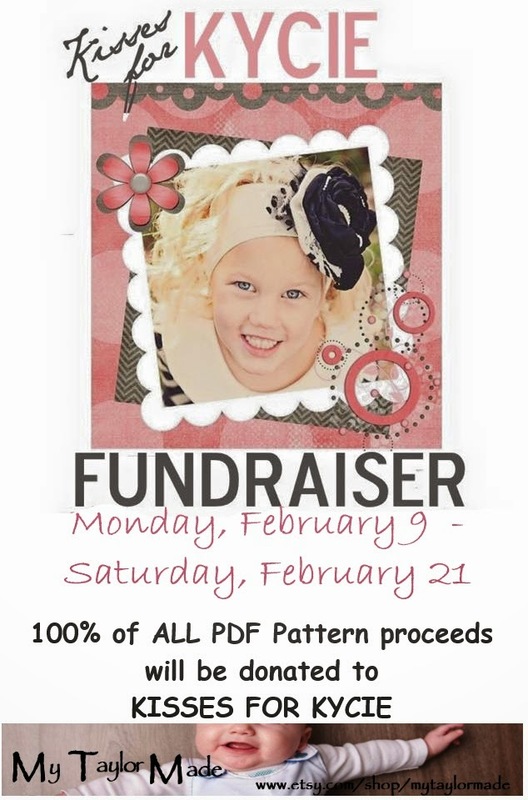 If you would like to pay full price for the pattern and still donate the funds to Kycie, leave me a note at checkout. I would be happy to forward any note you give me to the family. To purchase a pattern go to my etsy shop My Taylor Made. I will come back and post here the total amount that was donated to the fund. If you would like to donate more, please visit the YouCaring site that their family and friends have set up for them, by clicking on the photo of Kycie below. 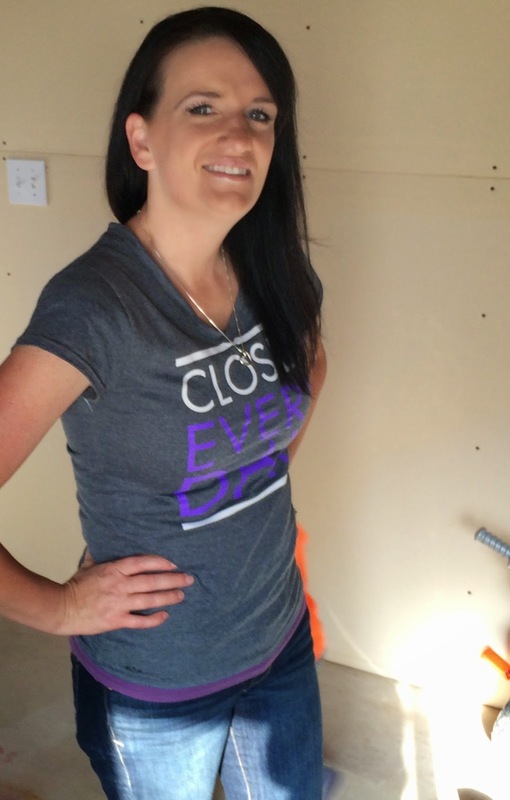 After I had my 4th baby, I was frustrated and hard on myself with how my body looked and felt. I was trying to eat right, and follow clean eating plans. I have always loved to have my "me time" while I workout. And with the clean eating we were instilling in our home, we noticed that our daughter who was struggling in school had better focus. But something was still missing for me. I was trying to take some extra pounds off my body, and nothing was happening. I wanted to learn more, and from an expert. I started to do my homework. I wanted more guidance to be a better example for my family. My husband, kept noticing people post results that they had from doing a Beachbody program. He would show me their results, and then boost me up to give it a try. Lucky for him, I love when he gives me gifts of workout equipment or videos. But he kept encouraging me to buy the full challenge pack program, not just the fitness program alone. I had a hard time trying to do this because of the cost, but I was at the point I needed the extra push. I knew it was just what I needed, so with his support I bought the program. I bought Beachbody's 21 Day Fix program. And I loved every minute of it. The program came with an amazing eating plan that was so black and white, I didn't even have to question my eating choices. After the 21 days I couldn't believe how much better I felt. I was losing the weight that I never could fight off between any of the kids. I was finding more energy to get my daily tasks done. I was happier and nicer to my family, that is what they keep telling me! 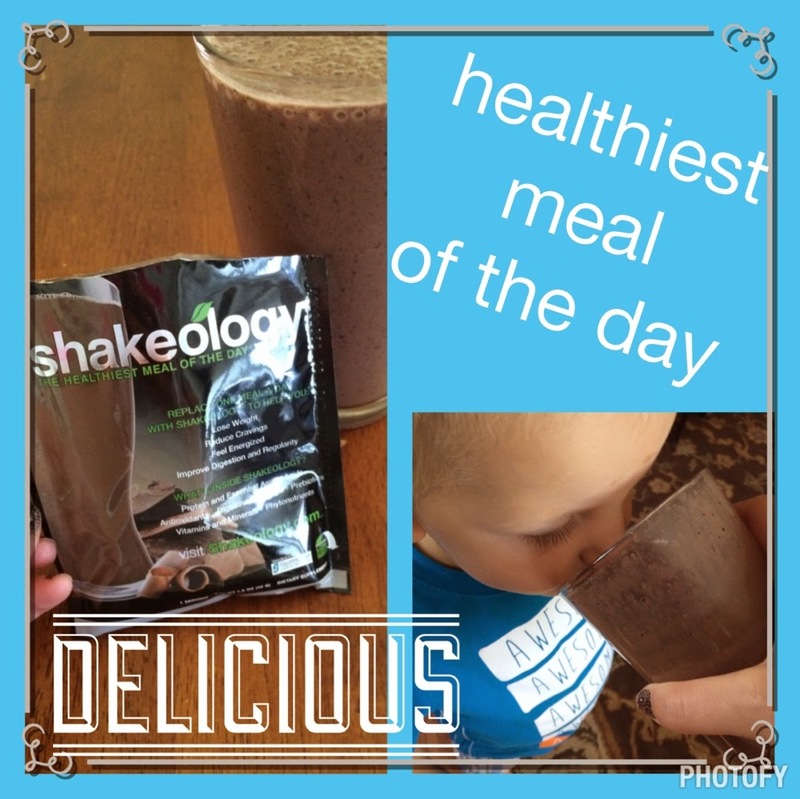 With the program I was drinking Shakeology and noticed that if I drank it during the afternoon slump that I usually get, that it was the perfect time to keep me from grabbing the sweets. So now I have it everyday, and don't know what I would do without it. As you can see I have a little mouth that I have to share with. This little guy loves it too, and if I could record his voice so you could hear how he says "Shakeogy", it is so cute! I was down 13 pounds on day 21. 15 pounds on day 23. And 6 months later I keep my weight down 20 pounds, and staying. It has been an amazing to look in the mirror and be so proud of myself, and who I have become. 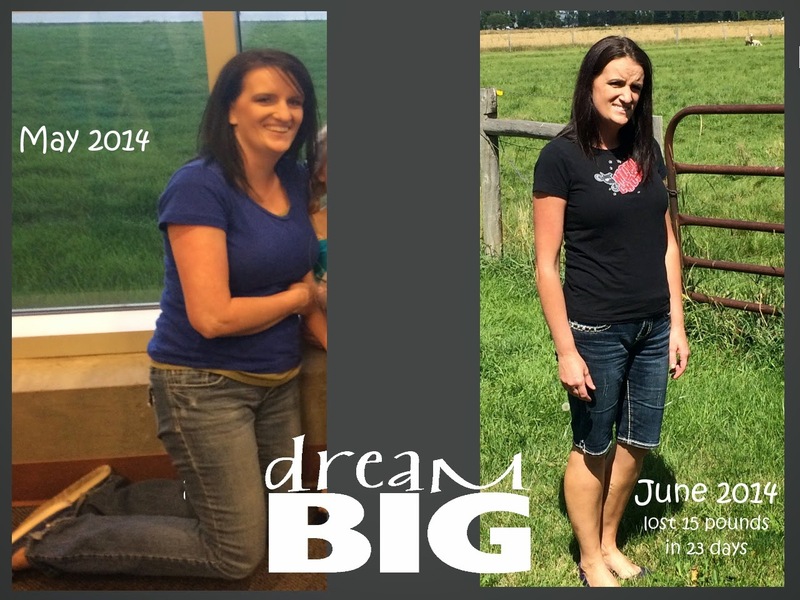 I wanted to share my success with others and help them achieve their health and fitness goals also. Shortly after finishing the program, I decided to do just that. I did my research in to the company, and watched other coaches. Then decided that it was something I could do! So I did! 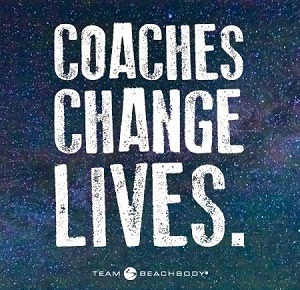 I have been a fitness and health coach with Beachbody, and helped others see the same kind of results. 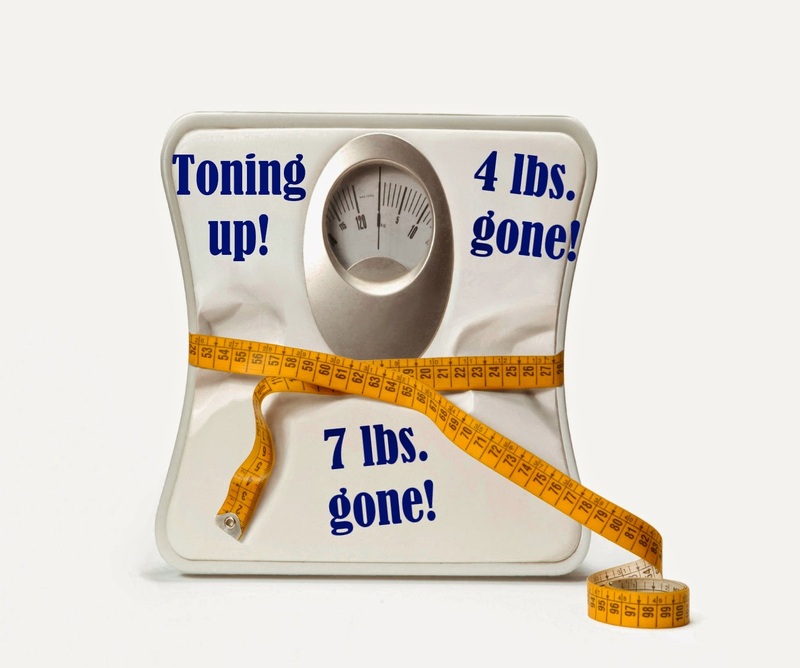 I have been blessed to be able to help people lose as little as 4 pounds, up to 20 pounds. I have also been able to help people just find a better eating plan, and enjoy the Superfood Shake to give them the boost they need. I am truly blessed for this opportunity, and I want to share it with everyone I know. 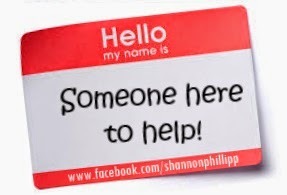 I would love to offer my help to you, if you are struggling in any way and might need some extra help. If someone told you that your dreams were possible, would you reach and and try? I would love to help. Send me an email, or leave me a comment. I am here to help you with your dream! I really have been sewing still. I know most of my post lately have been healthy foods or something to do with fitness. But Sewing will always be my release. I will always fall back on it, and take every moment in. Well at least until I break a needle or have to pick out thousands of stitches. Ha, I know I am not the only one who has had that happen. Here are a few pictures of a blanket I wanted to share with you. 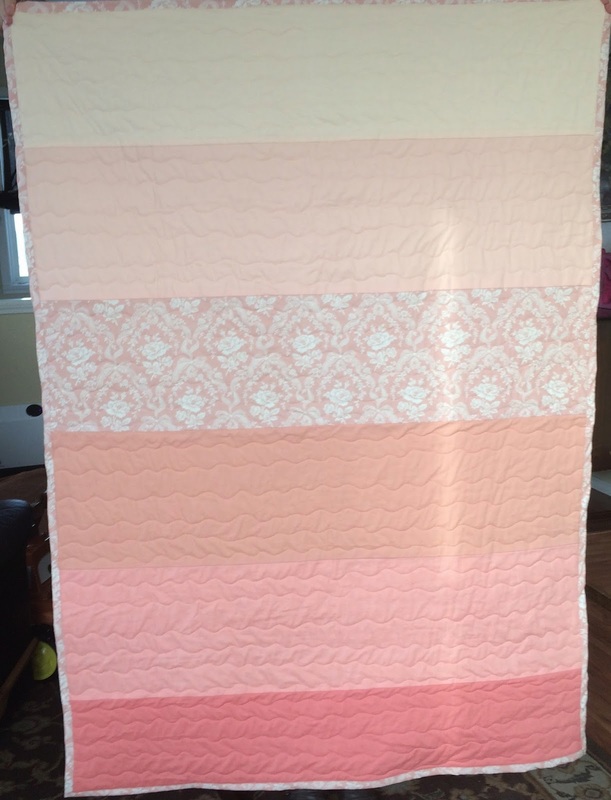 A friend of mine is having a baby, and her sister had sewn the top of this quilt together. They had me do the quilting and the binding. I am still working on the quilting stitches with my sewing machine. So I am no pro with it. But I am pretty proud of how this quilt turned out. I am loving the ombre!!! No Sugar and no Flour! Full of yumminess! My kids loved these, and so do I. Just make sure not to eat the whole batch by yourself! We made our first batch with chocolate chips, and I think that was the kids faborite part. I am thinking the next batch I make I will do some with raisins instead of chocolate chips. I think they would be fabulous!